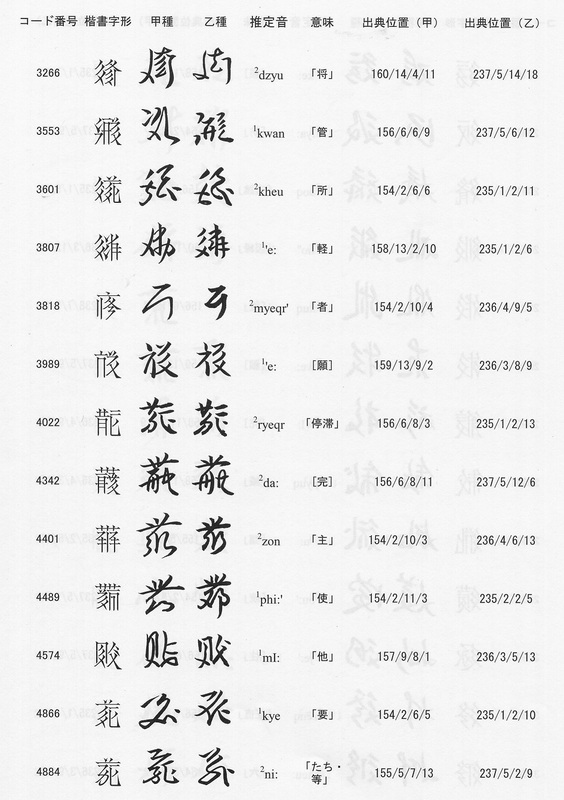 The table below lists examples of 107 Cursive Tangut characters found in various Tangut manuscripts (hover your mouse over the character image to see what the source for the image is), intended as a learning resource for myself and anyone else who wants to try to read cursive Tangut manuscripts. * This example is joined to a following iteration mark 𖿠. 荒川慎太郎 (ARAKAWA Shintaro). 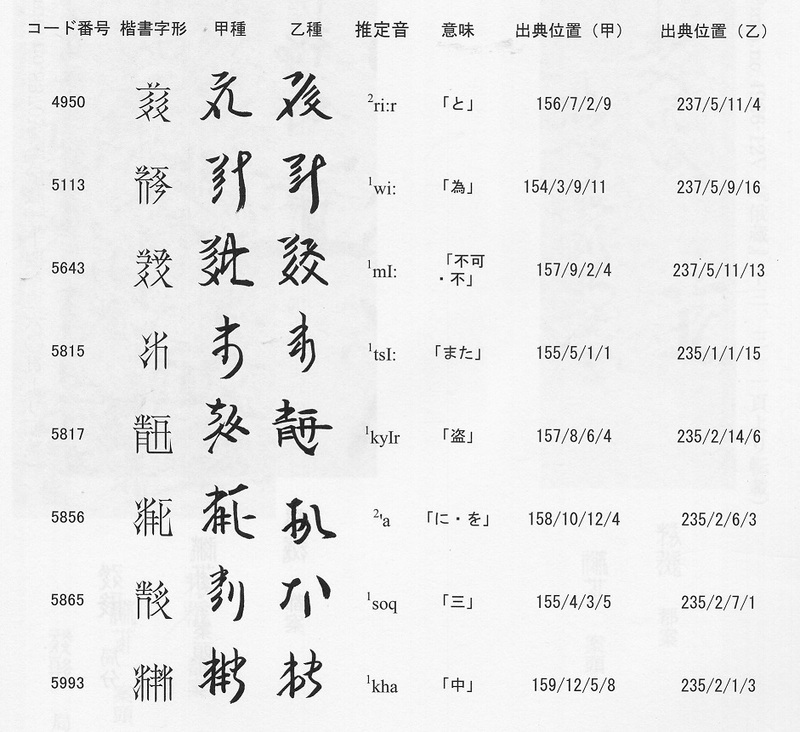 ロシア所蔵資料の実見調査に基づく西夏文字草書体の体系的研究 (Systematic Studies on the Tangut Script in Running Form, Based on the Research of Original Tangut Materials Preserved in Russia). 東京外国語大学 ・アジア・アフリカ言語文化研究所, 2016. 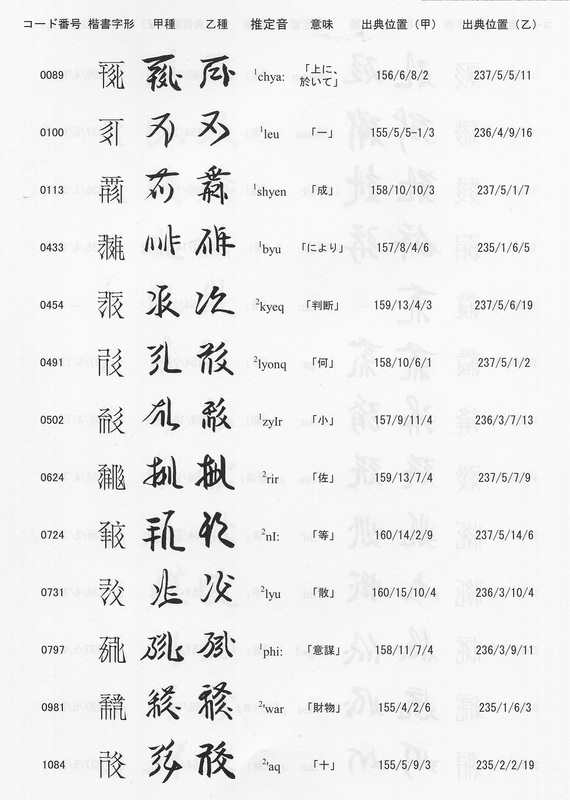 These sixty characters are taken from manuscripts of Hàinián Xīnfǎ 亥年新法 "New Law of the Year of the Pig" [IOM Inv. Nos. 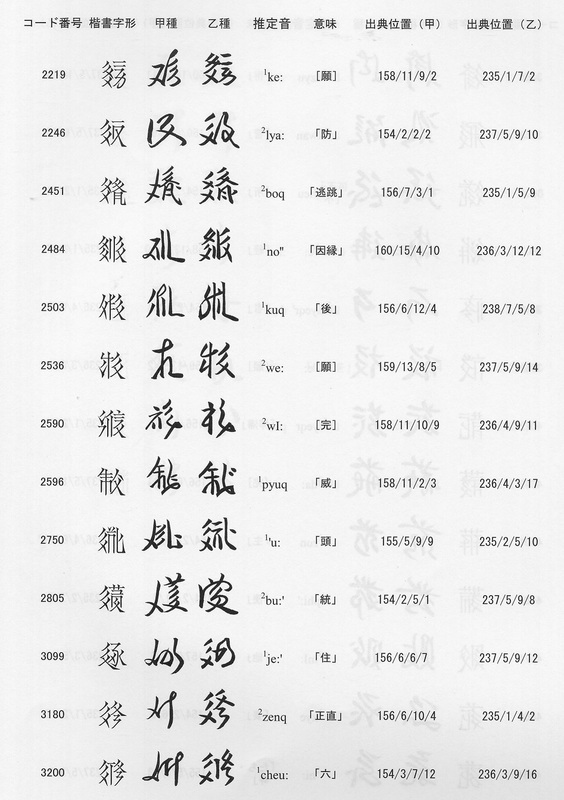 6092, 5946, and 6549] held at the Institute of Oriental Studies in Russia. 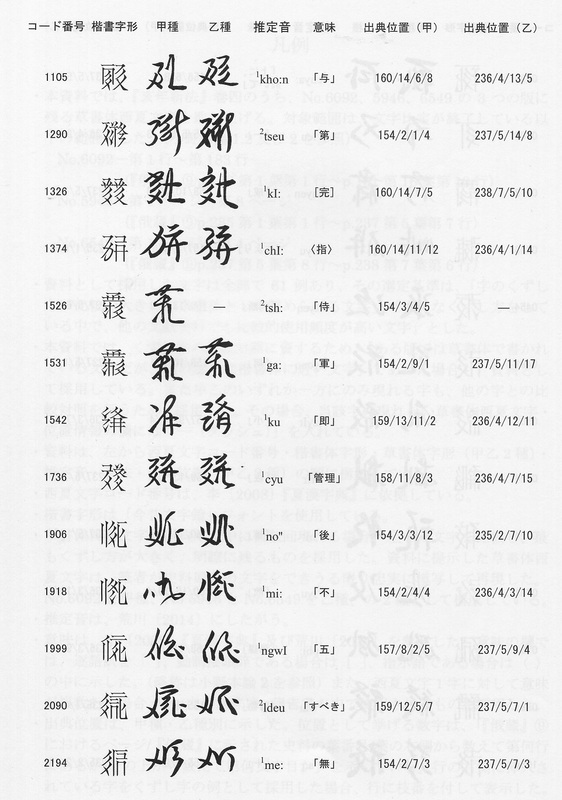 For all but one of these characters two cursive glyphforms are given.